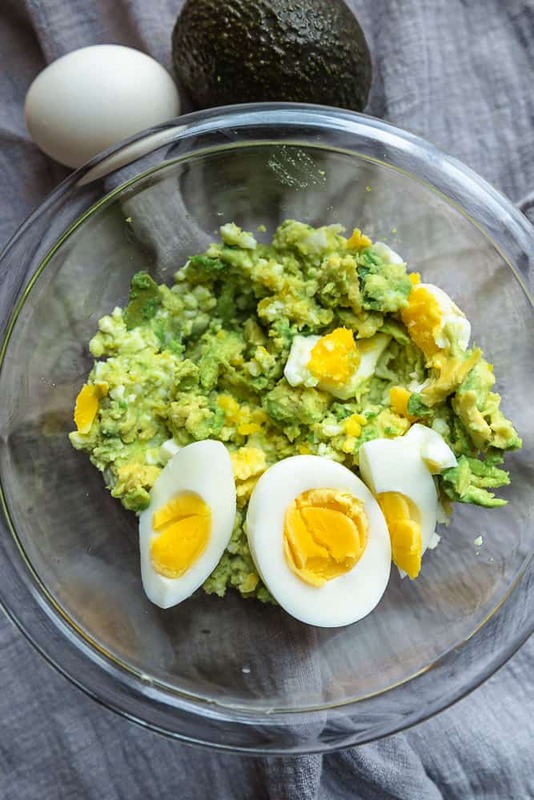 No Mayo Avocado Egg Salad is a healthier twist on the classic favorite and the perfect way to use up your hard boiled eggs. Best of all, it’s super creamy and mayo free. Note: This post may contain affiliate links; view my Disclosure Policy for details. I earn a small percentage from any purchase you make by clicking on these links. Got leftover hard boiled eggs and looking for ways to use them up? Now that I’m on a low-carb keto-friendly diet, I always have hard-boiled eggs on hand that I make in my Instant Pot. They are incredibly nutritious, low in calories and high in protein, folate, phosphorous, selenium and Vitamins, A B2, B5 and B12. 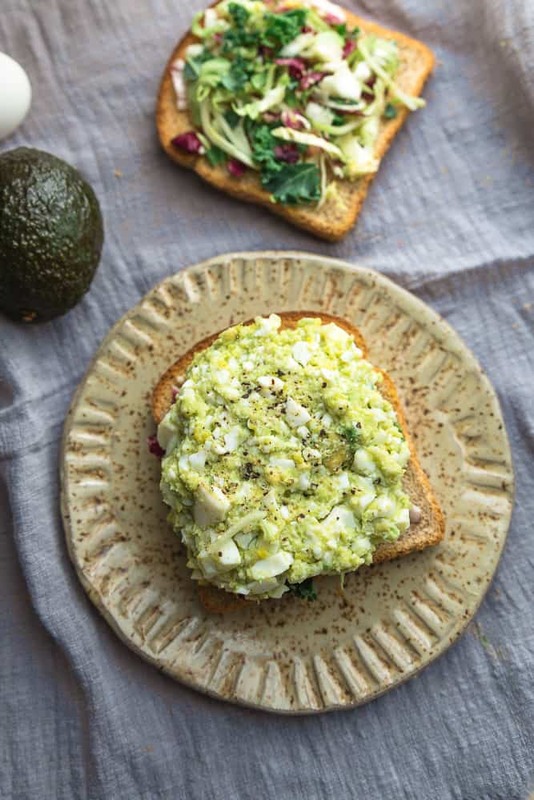 As much as we love these breakfast egg muffins and eggs on their own with some Himalayan sea salt and making deviled eggs…we are just crazy about this healthier Avocado Egg Salad. If you follow me on Instagram stories, you’ll see that I posted this waaaaay back in January. It’s one of my favorite things to make for lunch. 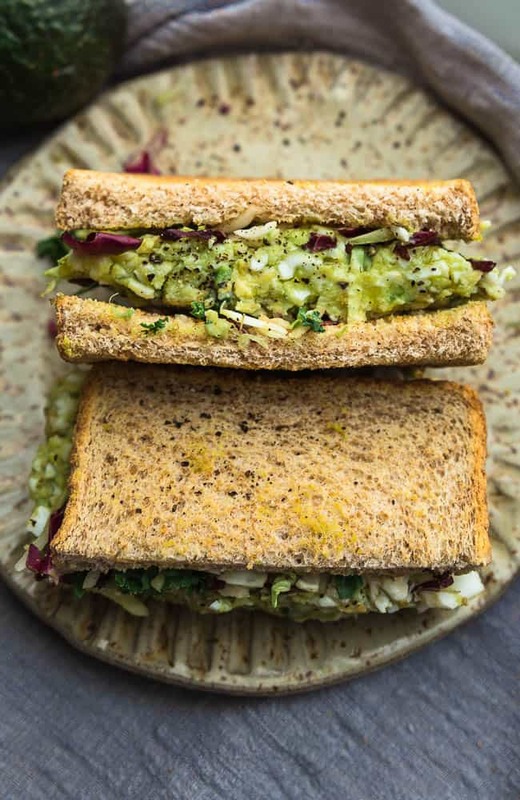 I am a big big avocado fan and love swapping it in recipes to lighten things up. The addition of avocado makes this egg salad super creamy and the Dijon adds that classic tangy flavor. And even though this egg salad recipe has no mayo, it’s still got a ton of delicious flavors! Plus, if you’ve got leftovers, this egg salad makes a great lunch for spring parties or summer picnics. You can enjoy this egg salad alone with a fork (totally guilty), in sandwiches, pita pockets and even lettuce wraps for a low carb keto version. 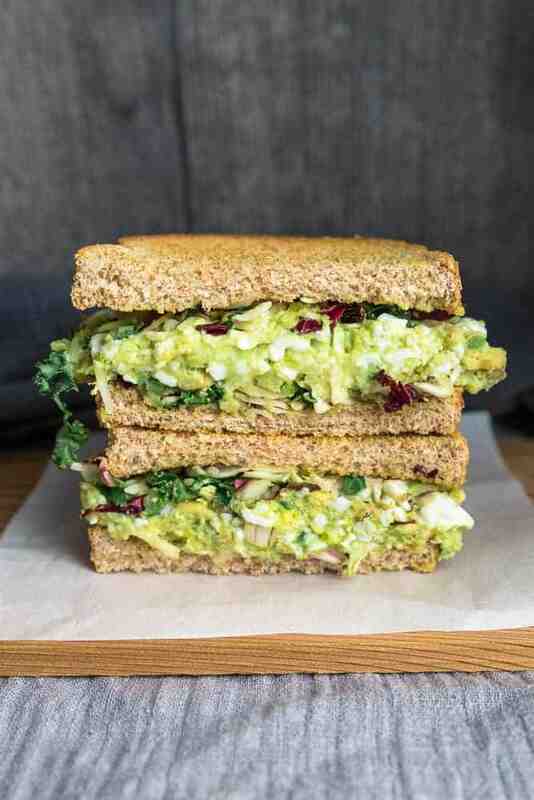 HOW DO YOU MAKE THIS AVOCADO EGG SALAD? Start off by peeling your hard boiled eggs. This is my favorite method for perfectly peeled hard boiled eggs every. single. time. Mash them together with two ripe avocados, some Greek yogurt, Dijon, lemon juice, salt, pepper and some fresh dill. 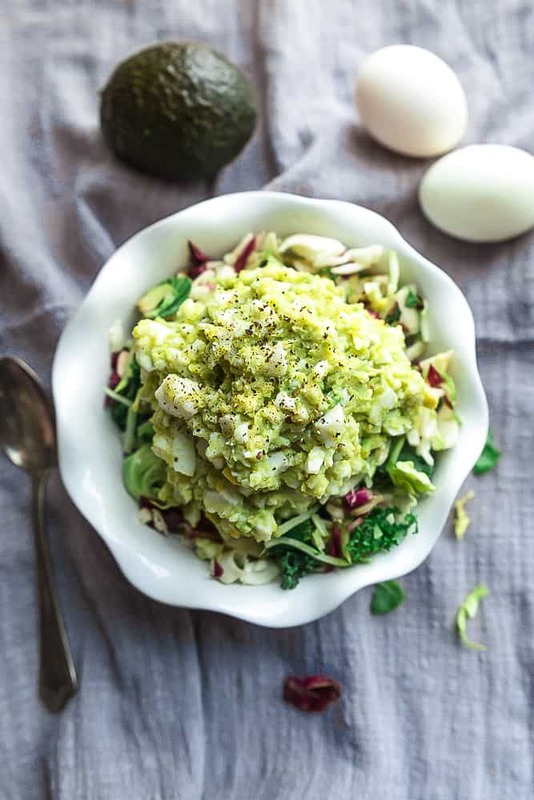 HOW DO YOU SERVE THIS AVOCADO EGG SALAD? 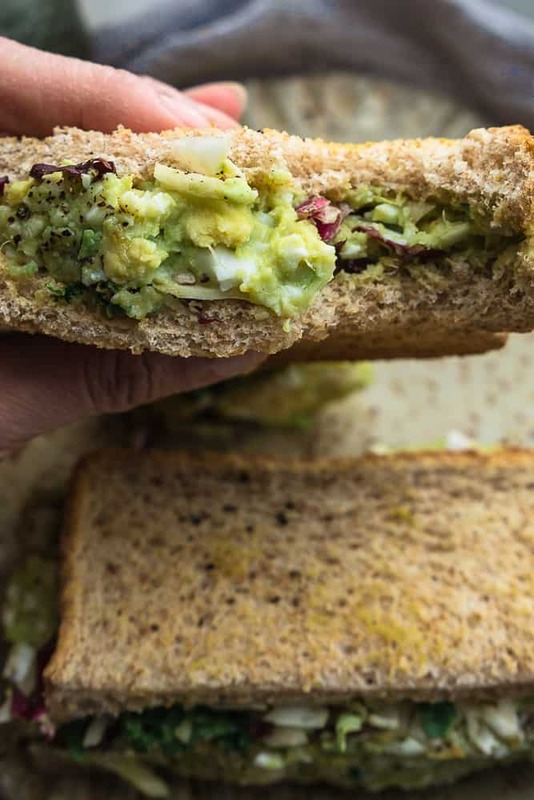 No Mayo Avocado Egg Salad is a healthier twist on the classic favorite and the perfect way to use up your hard-boiled eggs. Best of all, it's super creamy and mayo-free. Cover the eggs with very hot tap water in a saucepan. Bring to a boil, turn the heat off, cover with the lid and remove from heat. Allow to sit for 18 minutes. Uncover and pour out hot water. Run under very cold water and allow to sit for 5-10 minutes until cool. Peel and chop. In a large bowl, mash the avocados using a fork. Add the chopped eggs, yogurt, mustard, and lemon juice and mix to combine. Season with salt, black pepper, and dill, to taste. Serve immediately at room temperature, or chill and serve cold. 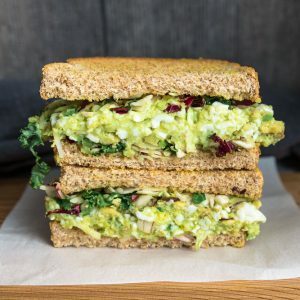 Serving suggestions: Enjoy alone, spread between two slices of bread with kale & cabbage slaw for an Avocado Egg Salad Sandwich, add to pita or scoop into lettuce wraps for a low carb keto version.